It’s sensory overload: a never-ending ocean view, a fresh sea breeze, plus the anticipation of the adventures that lie ahead. The inviting first tee is the most visually stimulating in all of Pebble Beach, and you can take the proverbial free swing like you’re trying to hit it into the ocean. 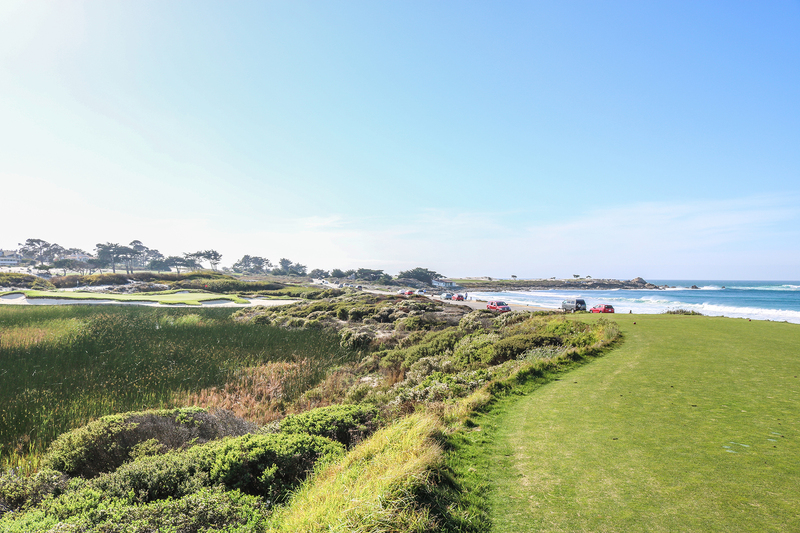 When the wind is howling off the ocean, it feels like you have to aim at the cars on 17-Mile Drive to hit the green. Even when it’s not blowing the hat off your head, it’s difficult to know exactly where a well-struck shot will end up until it lands safely over the marsh and above the moat of bunkering fortifying the saddle-shaped green. 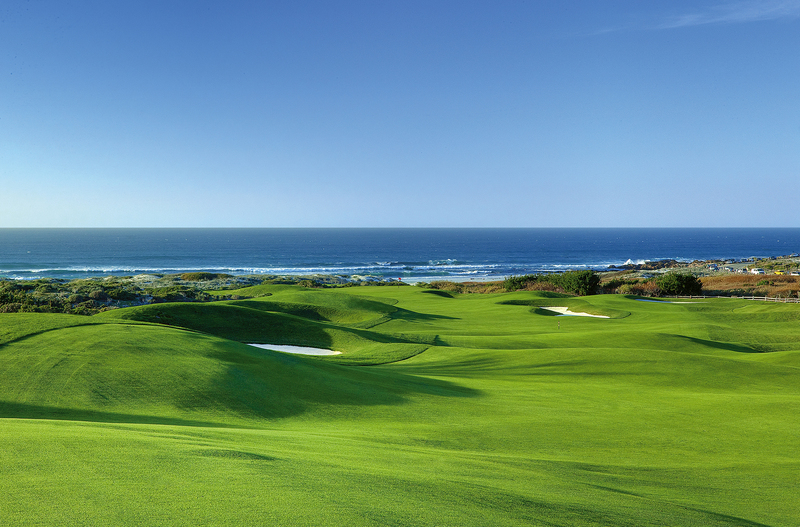 Spanish Bay earns its links prefix with its flag-flapping seaside finish. Whether you’re hitting a short-iron punch from 100 yards at the Wee Precipice, smacking long-irons head-high into a headwind on the long 14th, or battling swinging crosswinds through the dunes, you earn your Scottish stripes on the scenic home stretch. The sizzle and thud of an incoming ball rarely grabs the grazers’ attention. It wouldn’t feel like a proper Spanish Bay round without spotting carefree deer nibbling on a green snack. No need to scramble for your camera the first time you see a deer. Trust us. There will be many more. A morning round is delightful, and might miss some of the stronger afternoon winds. But there’s nothing more poetic and inspiring than finishing out a sunset round at Spanish Bay as those winds carry the sweet sounds of the bagpiper from a few fairways away. Time your finish for 5:30 p.m. during Daylight Savings, and a half hour before dusk in the winter months to enjoy the ultimate soundtrack. 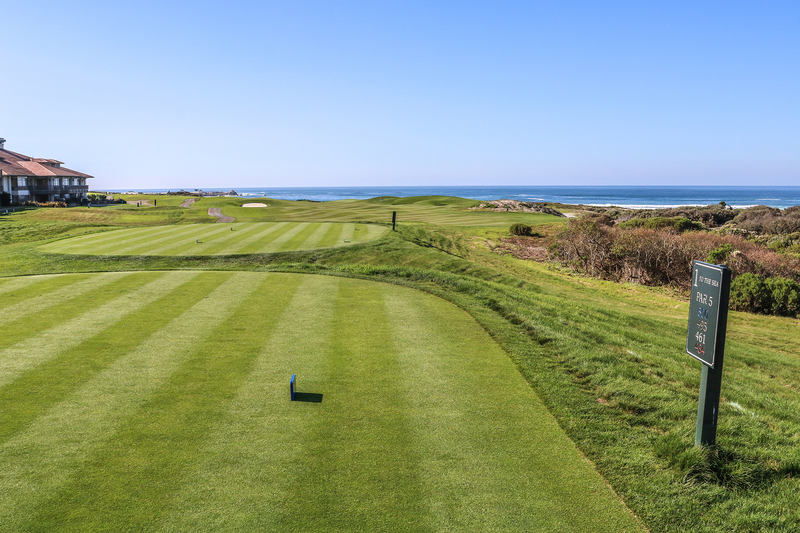 What’s your favorite part about a round at Spanish Bay?